This book was sent to me for free by the author. This book was sent to me in exchange for an honest review. The author contacted me about reviewing this book after I signed up to his newsletter. Any opinion I share about this book is completely my own and is not influenced by the author or publisher. 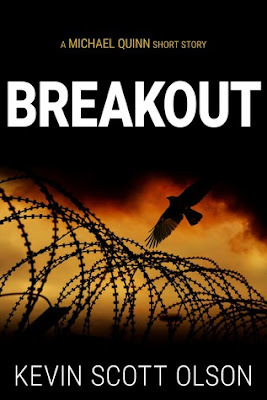 Synopsis: An American soldier, traveling alone in rural Mexico, is arrested and, without a hearing or trial, thrown into one of the Country's most notorious maximum security prisons. If the American's true identity and mission are revealed, he will never leave Mexico alive. Michael Quinn, ex-navy seal turned CIA special operative, is given the assignment: rescue the imprisoned American before the soldier receives a life sentence from the Mexican Government ... or a death sentence from the Mexican drug cartels. Review: I would like to thank the author for sending me a copy of this book. After reading the synopsis I was very excited to read this book. At the start of the book, I was unsure if I would actually enjoy the storyline. The more that I read the more hooked I was on the plot and ended up loving the book. This book was also a plus for me as it was a short, quick read that I finished in no time. Sometimes I lean towards short stories as I can have them finished in less than an hour. Short stories are something I like when I am in a reading slump as they don't take too much time up and they can also help to break through the reading slump. I would highly recommend this book to anyone who enjoys short stories, fiction and/or mystery thrillers. I would also recommend the rest of the series. This is a short and gripping novel worthy of a place in all book collections. After reading this book I cannot wait to invest in more books by Kevin Scott Olson. The only reason I gave this book a 4-star rating is that the first few pages were slow and made it difficult to get into the storyline. This is a book that I won in a giveaway. The giveaway was listed on Goodreads. The author of this book, Priscilla McGreer, did not ask for a review of this book. Any opinions I share about this book are completely my own and are not influenced by the author or publisher. Synopsis: Lilith is a figure of enigma and myth. Historically, her first appearance in literature seems to be medieval Jewish folklore, where she is considered the first wife of Adam, although there are hints she was once a Sumerian goddess. Lilith represents one of the most ancient archetypes: the dark feminine who awakens to correct serious errors among humanity. 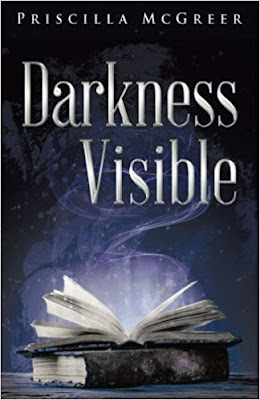 Darkness Visible is a collection of poems, written through the voice of Lilith, but also a critique of patriarchal society. In the first part, she addresses prominent historical, mythological and literary male cultural heroes from the last few thousand years. In the second part, female figures address Lilith and share their wisdom, guidance, and strength. Sometimes, it is necessary to destroy in order to build up, like mother earth through volcanic eruption. Now is the time. The ancient spirit of Lilith has been reawakened, summoned into the light of modern society. Although her words refer to old, even ancient, figures, it does so in order to address contemporary issues before its too late. Review: Firstly, I would like to make it clear that I am very grateful for having won a copy of this book. In all honesty, I had little interest in poetry but I thought it would be good to try some poetry before I made up my mind about whether poetry was something I would enjoy or not. This collection of poems has an interesting theme and I did like reading this book. I will admit that this book was not for me. It made me certain that poetry is not for me. This may not have been for me but I know that if someone enjoys poetry then they will love this collection of poems. I would highly recommend this book to anyone who has an interest in poetry and feminism. Even though it was not my favourite read this book will always be a part of my book collection as I am just so grateful that I won this book. This is a book that I won in a giveaway. The giveaway was listed on Goodreads. As I won this book a review was not required. Any opinions shared on this book are 100% my own and are not influenced by the author or publisher. 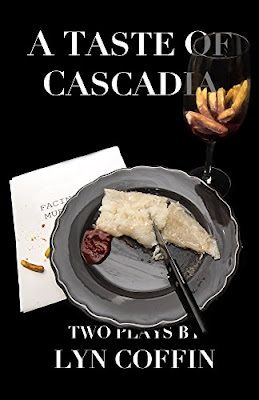 Synopsis: A taste of Cascadia features two short comedic plays, with the Pacific North West as a backdrop. In Lutefisk, a middle aged computer dating couple discover their previous connection from an unlikely event. Fries in a wine glass brings us two sisters exchanging differing accounts of their growing up years in a diner, following the funeral of their sister. Secrets and jealousies are revealed as they reconnect after a long absence, and hope for reconciliation. Following the launch of this book, these plays were performed around the Seattle area in various senior centers with an abundance of laughter and appreciation. Review: I would like to thank the author for listing this giveaway. If it had not been for the giveaway I would not have known this book even existed. I am grateful for having won this book. 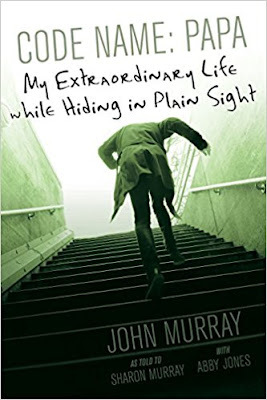 Even though I entered the giveaway, when I read the synopsis I was unsure whether I would like this book or not as I am not really a fan of plays or comedy. I much prefer crime, horror and fantasy novels. However, I found these short comedic plays to be relatively entertaining. This book is not something I would pick over something in my preferred genres but it was definitely an interesting read. I would recommend this book to people who enjoy plays or comedy; definitely a mix of the two. Even though this book did not blow me away it will remain on my bookshelves and maybe one day it will draw me back in for another read. Lyn Coffin is an excellent author and if she wrote stories of a darker nature then I would definitely invest in them. The reason I gave this a 3 star rating is simply because I do not enjoy this genre of writing as much as others. My rating has nothing to do with the writing style or how enjoyable this book is. The writer has a good and gripping writing style and if this book had been a crime or horror novel then I would have been hooked. Synopsis: Edmund isn't happy when he and his brother and sisters are sent to the professor's house in the countryside. But when he follows Lucy into an old wardrobe and to the land of Narnia, things get much worse. There he meets the evil white witch, who convinces him to betray his family. Before Edmund knows it, he's in over head! How can he escape for the white witch's clutches and find the strength to help save Narnia and his family from a terrible fate? Review: This is a short story extension to the C.S. 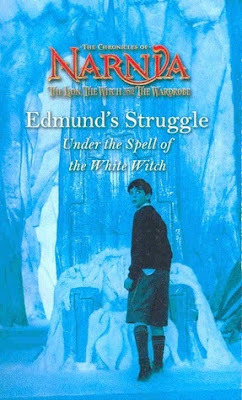 Lewis novel, The Lion, The Witch And The Wardrobe, and it gives insight into Edmund and his actions in The Lion, The Witch And The Wardrobe. Although this book is not full of action and excitement it is a good addition to The Chronicles Of Narnia. Having the insight into Edmund helps to understand his character and the choices that he makes. This short story shows that Edmund has made bad choices but is completely misunderstood. I can't say that this book gripped my attention but it is a great addition to the Narnia book series and for that reason alone it will have a permanent place on my bookshelves. This book is part of a four set short story. Each book revolves around a different child. The other three books follow Lucy, Susan and Peter. These books may not be read more than once if at all but they are worth having on the shelf for fans of The Chronicles Of Narnia. 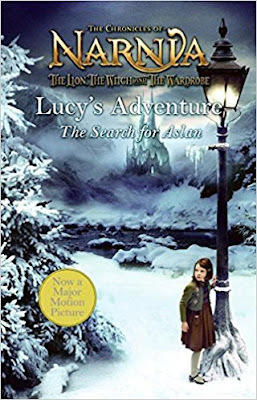 Each book adds detail and insight into the feelings and thoughts of the main characters as they embark on the amazing adventure to free Narnia from the control of the white witch. I would have given this book a one or two star rating if it did not add to The Lion, The Witch And The Wardrobe. Pick up this book and you will be stuck between the pages right to the end. This book was sent to me for free. I received this book from the publisher. I accepted this book in exchange for an honest review. Synopsis: Who'd have thought a bright, but fairly ordinary young man from middle class America who got just above average grades, dated the same girl throughout high school and went to church most Sundays, would grow up to eventually head a very secretive band of brave individuals - both men and women - who regularly put their lives on the line because they wanted to protect the rest of you. Yet that's what we did, often sacrificing our personal lives (four marriages for me, all in the book) and our health (countless broken bones, major surgeries, even death) to do it. Meanwhile, you're just going to have to call me 'papa' like everyone else around the globe has through most of those wildly unpredictable and dangerous years. Review: Firstly, I would like to thank the author for writing such an amazing book based around his life. Secondly, I would like to thank the publisher for providing me with a free copy in exchange for an honest review. When I accepted this book for review I was not sure if I would enjoy it as I had not read a memoir before. I was always much more into fiction than I was in things that had been in other people's stories about their life. Once I started to read this book I found that I was pleasantly surprised to find that I was enjoying this book and that feeling of interest lasted right up until the last page of the book. This memoir is full of adventure, danger and action that kept me hooked. 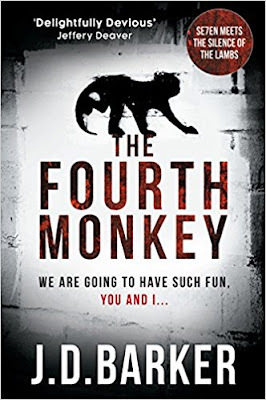 This is a non-fiction thriller that kept me gripped from start to finish. I found it near impossible to stop reading and put the book down. This book has broadened my reading interests and made me more open to memoirs but also it made me think about giving other genres that I tend to avoid a chance as I might just enjoy them after all. Trying new genres is a good way to broaden your reading horizons and if you don't enjoy the new genre then at least you gave something new a try. I definitely want to invest more time into reading memoirs. I would highly recommend this to anyone who enjoys memoirs and non-fiction thrillers. I also suggest just giving this book or any out of your book comfort zone just to try something new and you just might experience something new that you enjoy.